The Northern Center advocates for complementary protective plans and management structures across Alaska’s Arctic lands and seas. We recognize the need for integrated approaches across America’s Arctic to permanently protect treasured landscapes that address combined threats and protections needed for lands and coastal waters. We seek to protect the Beaufort and Chukchi Seas with a management regime for the marine ecosystems at the same time we address the cumulative effects on tundra and coasts. Permanently protect sensitive wildlands in Northern Alaska–with special emphasis on our largest and most biologically important conservation lands, the Arctic National Wildlife Refuge and the Western Arctic in the National Petroleum Reserve-Alaska, but with a keen sensitivity also to the overall ecological integrity of arctic Alaska–by promoting Wilderness designation where appropriate and other protective status when possible. Advocate permanent protection for the Arctic National Wildlife Refuge by gaining Wilderness designation and corresponding Wilderness management for the entire Arctic Refuge. Protect the ecological integrity of the Beaufort and Chukchi Seas. Mining practices and related infrastructure developments such as construction of roads and utilities often compromise wildlife habitat, adversely impact water quality, affect places used for subsistence and recreational purposes, and accelerate climate change. We work to protect lands in the Interior and Arctic from pollution, increased carbon emissions, industrial-scale surface and hydrologic disturbances, and especially new roads that would forever compromise these places and Alaska’s natural heritage. We monitor operations at priority mines, advocate against controversial and environmentally irresponsible projects, participate in state and federal plan revisions that govern environmental management guidelines, engage in and encourage others to participate in permitting processes that will minimize impacts, and help to litigate cases when necessary. The Northern Center believes that reaching out to diverse constituent groups, and personnel in industries and agencies is a key aspect to the advancement of our mission. Oppose the proposed road to the Ambler mining district and minimize impacts to wildlands and water from mining and associated infrastructure including transportation modalities. Climate change is already affecting wild and inhabited parts of Alaska, plant and animal species, and whole ecosystems, with direct and indirect impacts on Alaskans. It is already affecting recreational opportunities, subsistence practices, public health, economic security, and safety. It poses significant threats to many of the things that make Alaska special and to many of the things the Northern Center is devoted to protecting. To ensure the protection of wild places and Arctic ecosystems, and to ensure an economically, socially, and environmentally sustainable future, the Northern Center engages our membership and allies to address climate change. Recognizing the global nature of the problem, the Northern Center focuses its efforts where it can have the greatest impact. 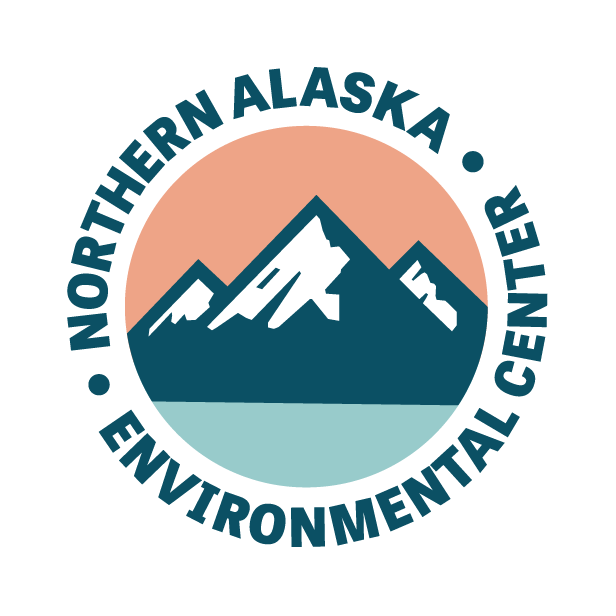 We educate the public about Alaska-specific threats and sustainable lifestyle choices, advocate for programs and policies that ensure a livable planet, and protect Alaskans from inevitable changes. Educate Interior Alaskans on climate-related impacts and the need to change current laws, policies, and individual practices. Educate Interior Alaskans on ways to minimize their own impacts on the planet, providing Arctic-specific resources and helping the public access opportunities already available through other organizations and programs. Engage our membership to encourage advocacy and individual actions. Lead by example in decisions about staff travel, office policies, building efficiency. Explore and communicate ways to reduce carbon emissions through local food production and the use of renewable energy.